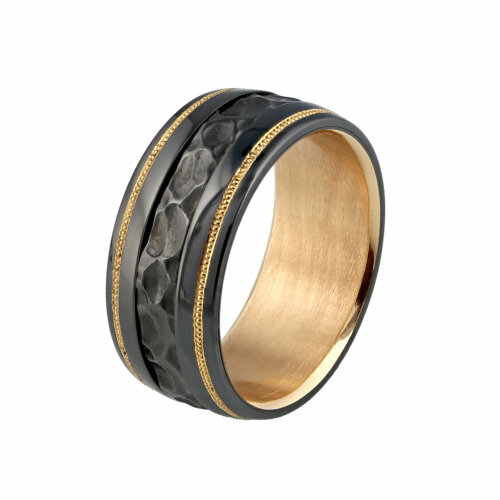 Knightsteel mens band with a hammered center and two lines of 22K rose Gold shaped inlay and an inner sleeve. Knightsteel mens band with a hammered center and two lines of 22K rose Gold shaped inlay and an inner sleeve in 22K rose Gold. This ring can be made in any size – delivery time is approximately 8-10 weeks. Please call us at 512-372-8888 to order.